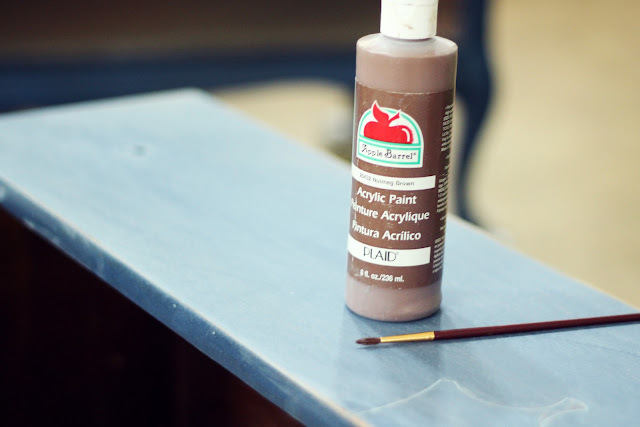 I tried Milk Paint for the first time last week…and LOVED it! 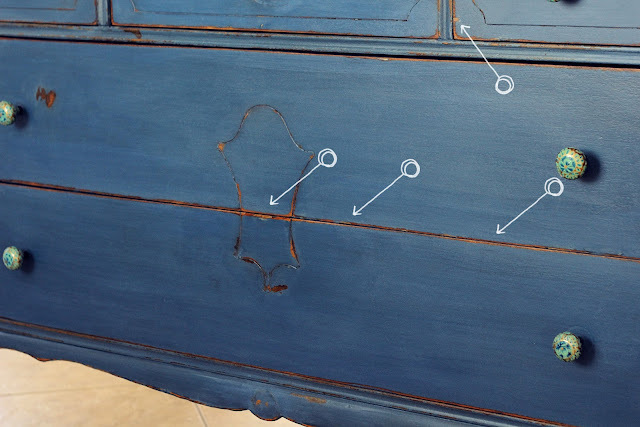 I was able to paint, distress and clear coat two dressers within three of Charlotte's naps. And the total bonus was that I got to do it inside! Awesome. There were several places along the edges of the drawers where the veneer was chipped. I filled them with wood filler, painted the drawers and distressed them. As I sanded the paint off the edges of the drawers, the wood filler began to show through. It's a much lighter a color than the wood and I didn't like the way it detracted from the overall look. It was an easy fix. Before I applied the finish coat, I grabbed some basic brown, acrylic paint and a cheapy paint brush. I painted over the wood filler with a light coat of the brown paint and the wood filler disappeared. After applying the finish coat you'd never be able to tell how many places the wood filler should've shown through. Photos of the finished product will be up next week! Such a clever tip! Your dresser looks beautiful. Love those knobs. I haven't tried the milk paint yet. Maybe I can put milk paint on my wish list for Santa! Enjoy your weekend. What a great idea. That piece looks awesome too. I can't wait to see the full view pics. I have not braved it yet to try the milk paint. I am still enjoying the chalk paint. I don't think there's anyway to mess it up. It a very forgiving paint. Plus it's half the price of chalk paint! Great tip! 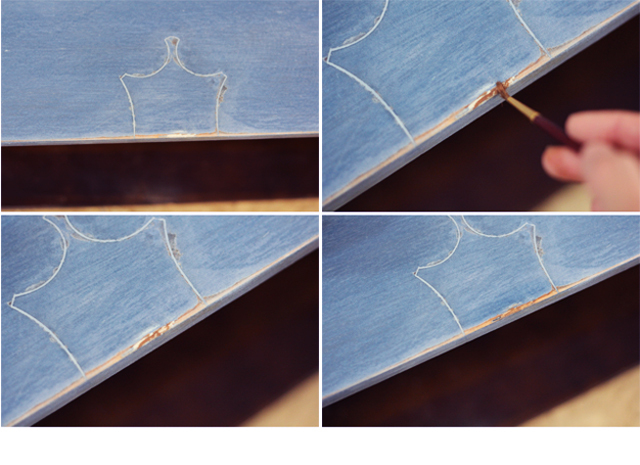 I have a piece that will need some filler so this trick will come in handy. Which milk paint did you try? I am looking for something new to play with.